Ever wondered how successful freelance trainers market their business? In this post, I share marketing tips from the best freelance trainers. Which ones will you try? Differentiate between ‘No never’ and ‘No, not yet’. Follow up the ‘Not yet’ respondents (preferably with their permission! ), and keep following them up. It’s surprising how often an initial contact becomes work 5 years later, because you keep in touch. Get on video! People buy from people and video comms are only going to increase. Whether it’s a short video of you training, an online course lesson extract or a piece direct to camera, it will help begin the process of ‘Know, Like Trust’ – which is essential for anyone to buy from you. As well as regularly planned communications or broadcasts, staying in touch ad hoc with the personal touch can really help. I had a client come back to me more than a year after the last delivery, simply because I’d stayed in touch two or three times just through sending an article I thought was relevant, or tagging a post in LinkedIn that I thought she’d enjoy. Which is another tip – if not already, connect with your clients on LinkedIn! Find out more about Online Training expert Ginette Tessier at Get That Course Online! Create a personal brand and live and breathe it in everything you do. Think about who you are, what you’re about and your values. This can help you create a persona or ‘tone of voice’ that should run as a thread through all your comms, blogs, social media posts as well as in your website. It helps people to get to know you and put a personality to your service. Think about a brand you love and consider what their ‘personality’ is. How powerful is that in creating emotional connections and customer loyalty? Networking. I went to loads of events, kept up or reached out to existing contacts, spent time on LinkedIn. I think it let people know I exist and want the work. Resulting in me getting lots of work. Blogging – has given me articles I can direct people to, raised my profile, people give me great feedback when they meet me again and you can use it to build video / e-book resources very simply. I used the 30 Day Blogging Challenge to get an initial body of content together. Adding value to community conversations online be that Facebook or LinkedIn. Share resources and build credibility. This has helped me get my name noticed and create engagement with new people. It is time-consuming but I build slots into my day where I focus on this solely so that it doesn’t distract from other work. Get on Twitter. This is where I started from. I moved to Lincoln where I knew 2 people and set about following lots of local business people in the hope they followed me back, and they did. From there, I learned about face to face networking events and my network just grew. 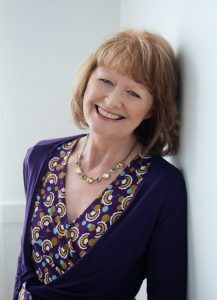 Twitter has given me a platform for sharing my writing (blogs and books); connections with thought leaders in my industry; workshop attendees; 1:1 clients; corporate clients; invitations to speak at events; a tribe of fans who love my writing; opportunities to be a regular on my local BBC Radio station – and paid work from that. If your clients are there, then you should be too! Whatever you choose to do, JFDI – and do so regularly whether that’s networking, writing newsletters, blogging, Twitter, LinkedIn, or whatever. You have to start somewhere but once you’ve started, keep it going – so don’t try to do too much that you can’t commit to and then plan the time into your diary so that it happens – as I’ve done with my new newsletter – that way, it won’t become a chore… or a panic! And don’t be afraid to ask for help & advice! Always do a great job! Delivering excellent service will almost always lead to repeat business or a referral. It’s easier to keep customers than get new ones! Invite delegates to join your mailing list at the end of every course. Pass around a sheet of paper and ask them to add their name and email address if they would like to receive articles and updates from you (Do ensure all requests for personal data are GDPR compliant). The people who’ve experienced you live and like you are the most likely to work with you again and/or refer you to others. Using LinkedIn to search for potential decision makers in local business and build your connections, I didn’t have a name, but searched by job role & company and sent a personal message, we’ve since met, had a very productive meeting and potentially I’ll be delivering training for over 200 staff! Give away stuff for free, not ordinary stuff, but good stuff. People then think if that’s what she will give away for free, what will the paid stuff be like? Don’t wonder what you will get back, but give and give generously. Be clear about what your USP is – know what learning products you are a real specialist in. Go out there, do your thing in the industry where you have credibility and have a good understanding of. Blogging and giving away great tips people can put right into practice. Shoot a short video of you explaining something and use on your website and social media profiles to demonstrate your abilities. Ask! Stay in touch with people and ask if you can help them or if they know anyone else who may benefit from your help. Being direct (in a polite way) works for me. People aren’t mind readers and satisfied previous customers or colleagues are usually happy to help. Network in the right places with the right people. I’ve wasted so much and money at local business networking events! Generally enjoyable and perhaps a good way to develop your confidence and skills, but unless you offer the sort of training that any business employing more than 6 people needs, you are unlikely to find customers or referrals there. Mix with fellow trainers and HR people. Get to know them, help them out and wait for them (or ask them) to return the favour. It takes time. Webinars. Run a free webinar on a regular basis to help your ideal customer get to know you. Prove you know your subject well. Webinars made a major difference to my business and enabled my potential customers to get to know me with minimum risk. Be prepared to share great information and strategies that will help them. Don’t use webinars to constantly sell. Content should be 85/15 ratio. 15% used to raise awareness about your product or service. If you don’t enjoy them, you won’t do them. When you’ve decided what your 3 things are, stick with your plan and see it through. Consistency is the key to success! Very interesting post, Sharon, I have not got loads of ideas for the coming months. Thank you!